All it takes is one email to end her relationship, get her kicked out of her apartment, and just about ruin her life. Essie Phillips never meant for her private rant about her boss to be sent to everyone in her address book, but as soon as it goes viral, her life as she knows it ... read full description below. International bestseller Jill Mansell crafts the perfect summertime tale, filled with love, friendship, and the power of redemption. You'll laugh, you'll cry, and you'll never want the story to end. All it takes is one email to end her relationship, get her kicked out of her apartment, and just about ruin her life. Essie Phillips never meant for her private rant about her boss to be sent to everyone in her address book, but as soon as it goes viral, her life as she knows it is over. Solution: move to a new town, find a new job, make new friends. If only it were as simple as that . 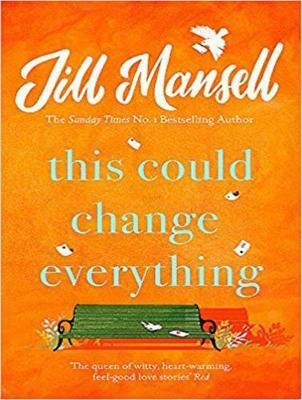 . .
Jill Mansell is the author of over twenty international bestsellers, including The One You Really Want, Don't Want to Miss a Thing, and Three Amazing Things About You. In 2015, Jill received an outstanding achievement award from the Romantic Novelists' Association. She lives in Bristol, England, with her family. Esther Wane is a British actor and voice-over artist who has narrated audiobooks in a variety of genres, including memoir, politics, romantic fiction, and children's literature. She has a lifelong passion for literature and can often be found browsing bookshops at any spare moment.